Q School event two just ended, we have four more qualifiers to go main tour in the coming season. Two Chinese stars Li Yan & Tian Pengfei successfully came through while Ireland's David Morris & Simon Bedford paired to win in a decider. Congrats to all of them! Tian Pengfei who was once on main circuit, he beaten David Gibert 4-2 with 72 and 66 to earn a ticket for 2011/2012 season. 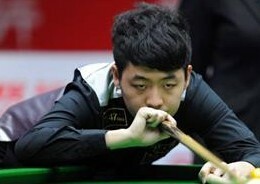 Tian Pengfei surprisingly defeated Ronnie O'Sullivan 5-3 as a wildcard player on last year China Open. He also won BTV Cup which was an international invitational event by beating Ryan Day in the final. It is a great victory for Tian to get back on main tour. Bad luck for David Gilbert who was also defeated in the last round of previous event. Maybe there will be a third time lucky for Gilbert? 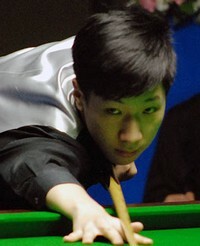 Li Yan is another Chinese player who came through. Li Yan has never been on the main tour. However now he is a main tour player at the age of 19. He struck a 4-1 victory over former Scottish Open champion David Gray with breaks of 79, 54. "I will try my best and my aim will be to stay on the tour," he said through an interpreter. "I'm very happy now, of course. I didn't play my best in this event, but I was confident. David Gray is a good player but I felt that I could beat him." 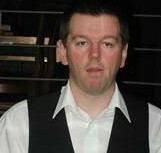 Ireland's David Morris won 4-3 over Michael Wild from 1-3 down. Morris played a Last 32 match of World Open 2010 on TV. Unfortunately he lost to tournament eventual winner Neil Robertson 1-3 in that match. Morris dropped off the main tour under the new ranking system. But I am happy to see Morris retain his tour place! "With the new rankings points system last season, I didn't know where I was. One minute I was 55th and the next 70th. By the time I realised I was in danger of dropping off the tour, it was too late. " But to have this chance to get back on straight away, and to take it, is perfect for me. I've still got the hunger to win," added Morris, now set for his sixth consecutive season on the pro circuit. "Last season I treated the PTCs like Pro-Am events, but from now on I will treat them properly because they are important." Last but not least Simon Bedford is another winner. Simon Bedford came through to win in a decider against Lee Walker despite leading 2-0 and 3-2 in the match. Bedford qualified for Last 32 of 1998 World Championship and 2008 Grand Prix. I believe Bedford is ready for the coming season! "Five years ago I gave the game up, then (coach) Steve Prest helped me get back into it and I got into the top 64. When Steve died I lost my love of the game for a while. But I'm back on my feet now and ready to give the tour a good crack next season." Q School Event Three starts tomorrow. It will be the last event for players to qualify for 2011/2012 season. Who will be on the way to become the last four?